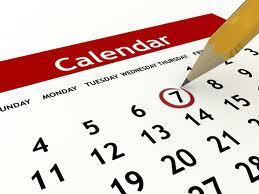 As I write this post, school districts across BC are establishing their calendars for the 2013-14 school year. New legislation, Bill 36, described by government to: “eliminate the Standard School Calendar to enable boards of education and education authorities to offer more creative scheduling options that better meet the needs of their students” is driving these decisions. Districts and their communities are discussing their local calendar ahead of the March 31st deadline for approving calendars for the upcoming school year. Langley has received a lot of attention, including a year-round option in the list of possibilities for next year. In West Vancouver, we have also completed a consultation process with the calendar steering committee receiving over 2,000 completed surveys from students, parents and staff on three possible calendar options. There has been much discussion around the setting of the local calendar, particularly around whether we should continue with what is described as an agrarian calendar of September to June, with two months off in the summer, or seek a more balanced calendar with a shorter summer break and longer breaks at other points in the year. I don’t want to take up the issue in this post, but a related issue that has come up during the consultations –the request for standardization — particularly when it comes to the scheduling of calendars including the placement of professional days and school breaks, and the organization of time / blocks within the day. I have written a number of times about our move to a post-standardized world in education — different assessments for different students; greater choice and personalization in what students learn and when and where they learn it, and how students demonstrate this learning. The learning format I envision incorporates students starting their learning early and some starting class late (we know there is research that encourages a late start-time). Some students might take evening courses, others in the summer, and still others taking part of their program online. This is currently the case in some places and may come to pass as the norm, but what our surveys show, and is supported by the conversations I have had with students, staff and parents is a request for more standardization when it comes to the school calendar. All groups recognize that it is easier to customize an education model when calendars are standardized. So why do staff want calendars standardized? Professional learning: if professional development days are aligned across and between districts it allows for greater collaboration across schools, and particularly in speciality areas where this can be very important as it allows teachers from different schools to collaborate more easily. It also allows for the sharing of expert resources – one district may bring in an expert of early learning, and the session would be available to teachers from several districts without teachers being released from their teaching duties, since all had aligned professional days. Teaching in multiple schools: if a teacher has a specialty (Japanese for example), a standardized calendar can allow for them to teach their specialty in multiple sites; as an example, teaching mornings in school A and afternoons in school B or alternating days between schools. And why do students and parents like standardized calendars? Choice: running a common calendar in schools, in the same or neighbouring districts, allows students to take the majority of courses at their home school and pursue their passion at another site. In West Vancouver, this means students from multiple schools can attend afternoon sports academy programs because schools have the same block rotation. It also allows students from all three high schools to take their “core” courses on one day, and participate in the ACE-IT Carpentry Program at West Vancouver Secondary on the other day. In turn, aligning with surrounding districts, it allows our students to attend Carson Graham in North Vancouver, to participate in their ACE-IT Culinary Program. Next year, our district schools will have aligned their professional development days and common breaks. Efforts are also being made to align our breaks with other schools in Metro Vancouver. We will actually have more standardization in our calendars than every before — a funny result of legislation intended to create flexibility. Eventually, we may have balanced or more alternate calendars. But for now, largely in the name of creating increased choice for students, standardization allows for greater customization and hopefully greater personalization of learning. 1. Summer programs would be negatively affected. 2. Most school buildings do not have appropriate HVAC systems to handle being occupied in the summer. 3. Canadian winters are not always the best time to take time off as activities might be limited to inside ones. Read: some kids stuck in front of a the TV for a week or two. Maybe that is part of it Rob – but I actually think there is real interest in a different calendar, but families don’t want to have all the schools each on their own calendar. I was intereted to hear about Garden City Elementary School in Richmond that has a 6/3/3 calendar – with a six week break in the summer and then three weeks at Christmas and Spring Break. I think there would be a lot of interest in a calendar like this one if it was done across a district or better yet across many districts. There are challenges like HVAC that you raised that would have to be considered, but more school time in the summer may also lead to more outdoor school activities – which would not be a bad thing. As we move more to a blended approach to learning – this conversation may be obsolete over the next decade. And yes, change is hard to routines – the first comment I heard about the 6/3/3 model was – No way – then we couldn’t go to the PNE. Thanks Paige – I think that is a good way to look at it – we actually clarify the structure to enable the flexibility. And some of the “new” ways of working do not always work well together. We want people to be able to work where and when they want but we also want them to collaborate in teams. This can often be done through technology, but these two goals of flexible work and collaboration are not always a perfect match. Very interesting blog Chris. I just came out of a meeting with our admin team. I am the Principal of a school in South Korea that is beginning the process of transitioning to a Canadian curriculum. The topic of timetabling came up during the meeting and the team from Korea was adamant that their timetables should remain the same. Presently the school is for pre-school students. When I spoke of recommended hours for literacy, numeracy and daily physical activity, I got a very surprised look. After the meeting one of the team members asked me why there were recommended time allotment. She brought up a good point when she indicated that she thought some students need more and/or less time to focus on certain subjects. I am know asking myself what is the balance between structured timetabling and flexible timetabling for elementary students? Yes Gerry – a great point and addition to this conversation. Just how do we build structures for personalized learning in a world where we know some students need 30 minutes a day for literacy and some need 2 hours. We typicaly will often take the average – giving all students 1 1/4 hours of literacy – knowing some students will be done their work and bored, and others will fall behind. We have found that some of our elementary schools that have experimented with “white space” in their days when students can have choice on what they need to spend time on has been somewhat effective, but has made parents anxious – they are so used to their school experiences, they see this “flexible” time as not rigourous enough since it is not being driven by a particular content area. The term “differentiating instruction” has been around for a long time. We know it takes time for a teacher to learn to tailor their instructional methods to their students’ needs – this is best accomplished through professional development models that reinforce desired outcomes and build a culture around collaborative goal setting and assessing progress. Providing continuous professional development is time-intensive and is often given short shrift when discussing the school day and year. In this context, structure is definitely needed. Coming up with a schedule that meets students’ (and parents’) needs is challenging, especially when considering that older students tend to have busier out-of-school lives (sports, arts, jobs, etc.). This is why a more flexible approach toward course offerings makes sense at the high school level. 1. Having a mandatory start time of 7:30 am doesn’t work for many adolescents. There are plenty of studies on the sleep cycle of teens. If they are sleep deprived, their learning suffers. 2. It’s easier for administrators to build a schedule where all classes meet for, say. 50 minutes. This doesn’t consider that some classes need longer time periods for adequate treatment of the coursework or that, in the internet age, we can use the power of distributed learning to create more flexible schedules for students, based not only on brain physiology and hormones but on varying complexities in individual’s lives. 3. Resistance to change is normal. Schools need visionary leaders to create school cultures around newer models that recognize what we know about student learning, successful professional growth for educators and how technology can work to support this new knowledge. Also, while taking 2-3 months “off” for the summer may be traditional, it’s time to look at alternatives. Summers are ideal for vacations for many families. Some students attend summer school, for remediation or enrichment. And while many educators attend summer classes and workshops, many do not. We don’t need to be away from school for 8-12 weeks to do travel and learn. We may indeed be better off with more frequent breaks of 1-2 weeks. These are just a few ideas that I’ve thought about and discussed with my colleagues and friends for many years. Many people agree that continuing to do what we do because we’ve always done it that way doesn’t make much sense, yet we have much difficulty in changing our schedules in even minor ways.